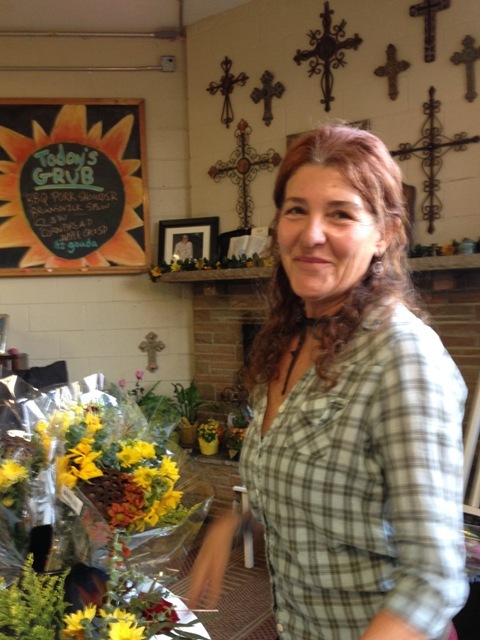 Suzanne is the creative force behind the flower arrangements at the Downtown Welcome Table most Wednesdays. She begins with the bouquets that have been donated by Trader Joe’s and sometimes adds in a little extra greenery or a ribbon to make an appealing centerpiece for each table. She says the process feeds her soul. And of course it’s a blessing to the rest of us. Thanks Suzanne!